A new form of universal ratings is making the rounds in D.C. this week, with the Federal Communication Commission kicking off an inquiry to decide whether to create a single rating system for TV, video games and cell phones, Bloomberg reports. The FCC will begin the inquiry after they deliver a report on media blocking and rating techniques to Congress on Aug. 31, two commission officials told Bloomberg. The purported FCC action will come following congressional inquiries into whether children are harmed by inappropriate content and questions by senators about whether the laws need to be changed to protect children. While the report, due to hit next week, won't make any recommendations, it will announce that kick off of their look at universal ratings. The report looks specifically at technology that can block programming by ratings, which is, apparently, why movies aren't included on the list. Broadcasters met with the FCC earlier this month, warning them that a compulsory ratings system could be a violation of the First Amendment. Reached for comment by Kotaku, the Entertainment Software Association echoed that sentiment. "The ESA appreciates the FCC and its important role. 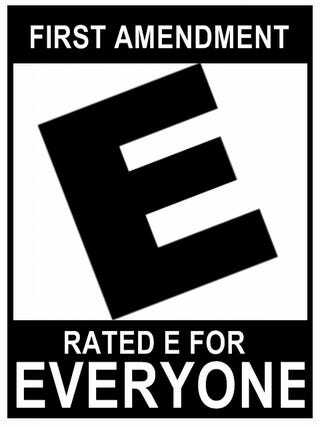 However, the ESRB rating system is considered by parents, family advocates, the Federal Trade Commission, and elected officials as the gold standard in providing caregivers with the information they need to make the right choices for their families," said Rich Taylor, senior vice president for communications and industry affairs, at the ESA. "Universal ratings will, in the end, only serve to confuse consumers, violate the Constitution's first amendment, and are a solution in search of a problem." Earlier this year, Taylor told Kotaku that the Barack Obama administration no longer seemed focused on Universal Ratings and that the president seemed gamer friendly.